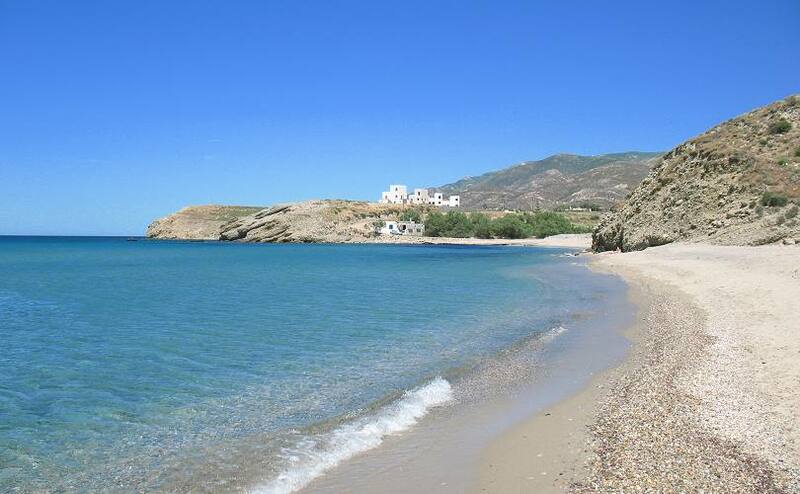 Amitis is a quiet, uncrowded even in high season and nice beach at the so named bay located north of Naxos Town. The sea is rough on north winds, and calm on south winds. Amitis is the beach of the nearby villages, Eggares and Galini. Via Galini village: Take the road to Galini and Eggares Villages. Follow the signpost to Galini village and then the signpost to Amitis beach. The road leads to the south part of Amitis bay. Via Eggares village: Take the road to Galini and Eggares Villages. 2 km after Eggares village there is a signpost to Amitis bay. The road leads to the north part of Amitis bay. There is no infrastructure on the beach.